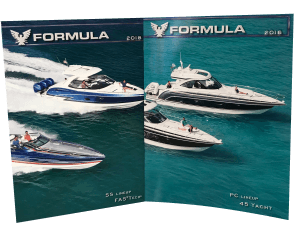 Vintage Formula is your source for information on past Formula models including brochures and specifications. In addition, you can find stories from owners of vintage Formulas—enjoy! Would like your vintage Formula to appear on our web site? Send your story and pictures to webmaster@formulaboats.com.